We’ve practically all had that stabbing headache from a long day’s work or a piercing muscle cramp when we’ve got carried away with those weights in the gym. Sharp or dull – we’ve been in pain and more often than once. While it might ease off or decide to cling to you, you usually have two choices – pop pills or bear with it. What if you could relieve the agony without a prescription? That’s the good news; you just might be able to. Pain is more than just a reaction to a physical symptom – it is a perception. It relates to how you assess the physical sensation. While the Romans and Greeks theorized this idea of pain, by the 19th century, various studies found their place in scientific literature. It was then established that pain is a feeling triggered by the nervous system. How do painkillers work? “Certain chemicals called prostaglandins released at the site of the pain sensation. These irritate the nerve endings which carry signals to the brain. The brain interprets these signals and that’s how we feel pain. Painkillers obstruct these chemicals,” says Dr. OP Garg, Rheumatologist and Head, Rheumatology at BL Kapur Hospital, New Delhi. Drugs came much later, but the earliest cure for pain ws found in nature. And once again, we seem to be making a journey back to these traditional remedies. 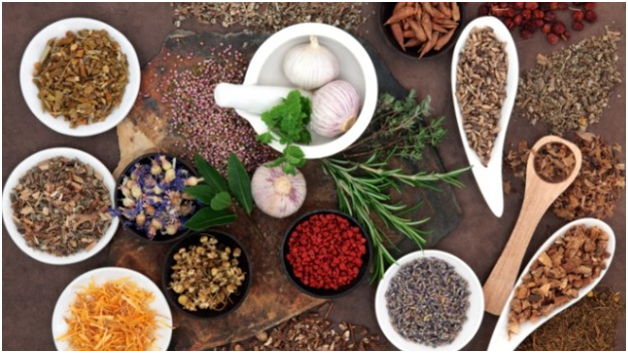 The one thing that I must set straight is that while natural remedies have an obvious appeal, they may not cure chronic conditions. But they can definitely reduce your dependency on drugs and can help you avoid them whenever you can. You’ll have to agree, it does take more than a prescription pad to really bring relief. Dr. Ashutosh Gautam, Clinical Operations and Coordination Manager at Baidyanath, suggests some ancient herbs and spices that can tame the pain. It benefits in dental and oral care by inhibiting bacteria that cause tooth decay. Neem can also fight infectious mutans and dental caries. 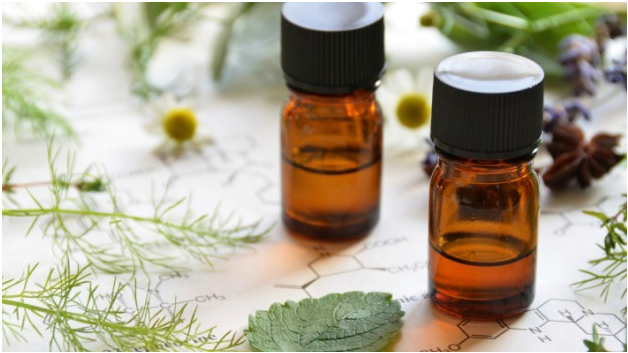 Clove and clove oil is known to have both analgesic and antibacterial properties, and like neem, it can be help in curbing a toothache caused by bacteria. Neem leaves can be chewed while clove oil should be applied. You can also gargle with neem oil for better results. Fennel (saunf) exhibits antibacterial and antiviral activities. It acts as a carminative – an herb or preparation which is known to prevent the formation of gas. It is also has stomachic reducing properties which means that it helps in toning the stomach and improves digestive functions. Applying fennel oil has been reported to relieve menstrual cramps. It is an excellent source of potassium, calcium, magnesium, iron, phosphorous and zinc. It is also hepato-protective, has the ability to prevent damage to the liver. It can be powdered and mixed with soda bicarbonate, water and a pinch of black salt. This creates a synergistic effect. Coriander (dhaniya) has been known as an analgesic, carminative, digestive, depurative (detoxifying), anti-rheumatic (joint pains) and antispasmodic (muscle spasms) agent. It can be used externally to treat ulcers and rheumatism (joint related ailments). Tulsi also works in relieving joint pain and pain related to arthritis. 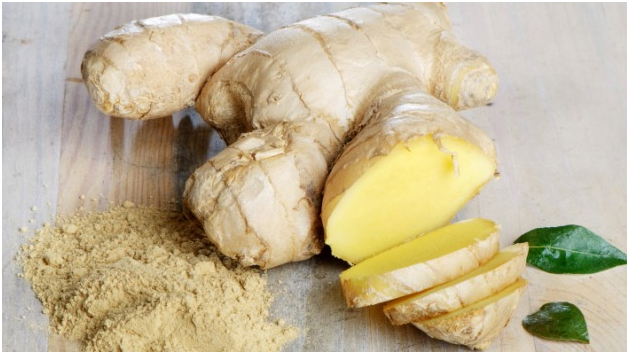 Ginger is a popular anti-nausea and carminative ingredient. It has been used by people to cure motion sickness. It fights bacterial, fungal and viral infections. Ginger oil acts an anti-inflammatory for arthritis and headaches. In simple terms, inflammation refers to swelling. It can be rubbed on the effected area. Its diaphoretic effect is known to keep your body warm. Cardamom is known to enhance the effectiveness of carminative (that combat flatulence) drugs. It is officially recognized in British and US pharmacopoeias and is used as an aromatic stimulant, carminative and flavoring agent. Chewing cardamom helps in regulating digestive functions.